Welcome to this charming villa tucked away in the prime location of Tarpon Springs! Skylights and vaulted ceilings fill the kitchen and upstairs bathroom with natural light.This split floor plan features two bedrooms, and two and a half baths, with two bedrooms on the ground floor and a huge upstairs loft. The loft includes a half bath that can easily be converted to a third bedroom or home office.The two bedrooms and two full baths are located on the ground floor. The large dining and family room open up to a fully enclosed tiled Florida room, overlooking a private backyard that is perfect for grillin' and chillin'! This community is very well maintained with many ammenities; amazing indoor pool, fitness room, library and a banquet room with a full kitchen, perfect for an active lifestyle with family and friends. 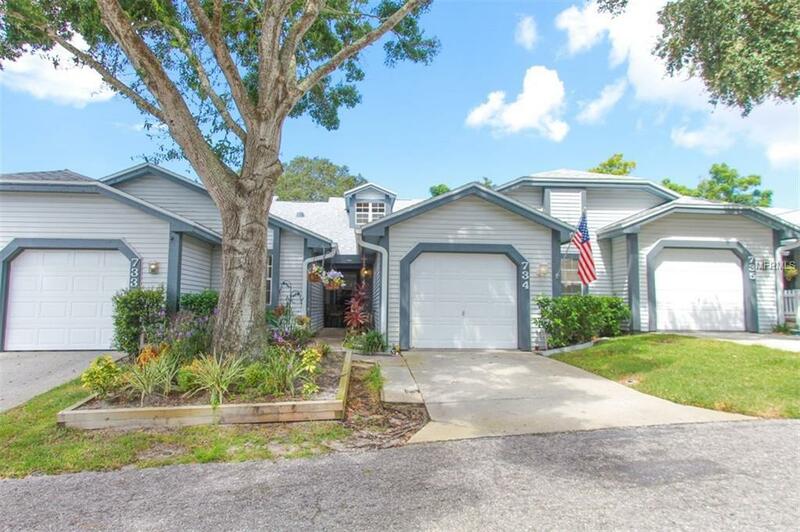 Close to Howard and Sunset Beaches, as well as the Pinellas Trail and Historic Sponge Docks, this villa provides Florida Living at it's finest...a must see! Offers Welcomed! Additional Lease Restrictions Check With Hoa.